YoungOnes was born in 2011 when Chris and Tom attended University together at Exeter. In the beginning they designed a premier Onesie that fit into the student budget. 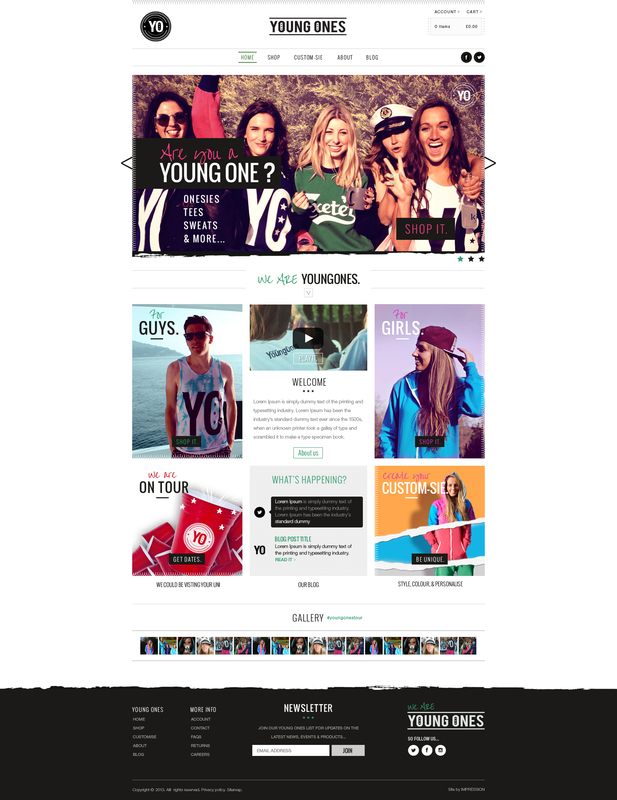 The brand became popular and word spread quickly through the Universities nationwide. As their popularity and product variety increased they realised that they needed a new, fresh and modern website that suited their brand, so Chris and Tom approached us to help them with their task. Magento: The website was built in Magento, allowing us to provide YoungOnes with an easy to user Cart and Checkout system. Magento also allowed us to add extra features such as Product Detail, Thumbnail videos and personalisation of products. 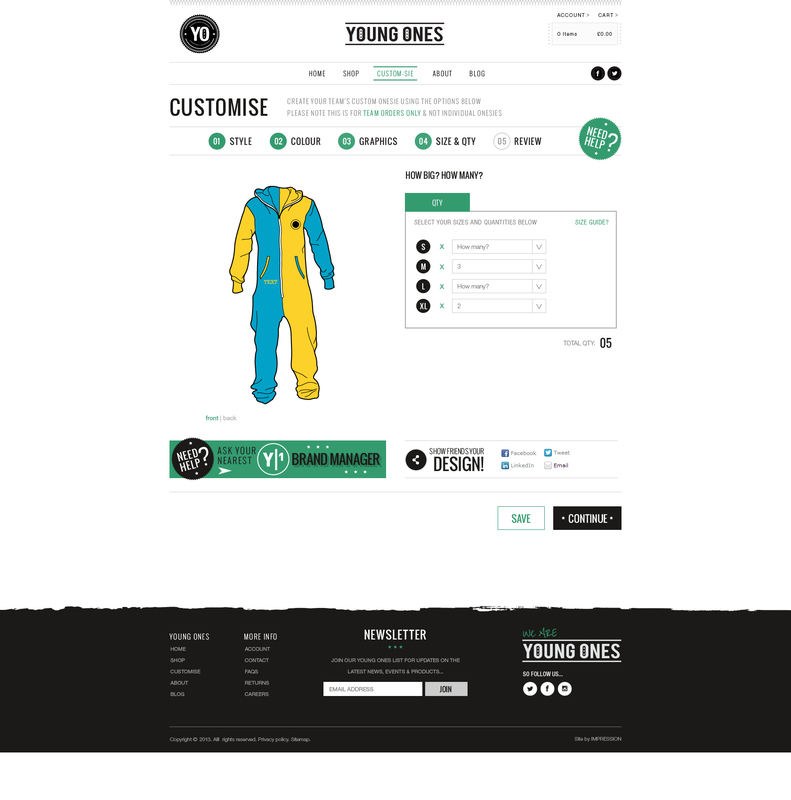 Personalisation: Visitors to the YoungOnes site are able to specify if they would like extra text added onto their products for an extra £5. 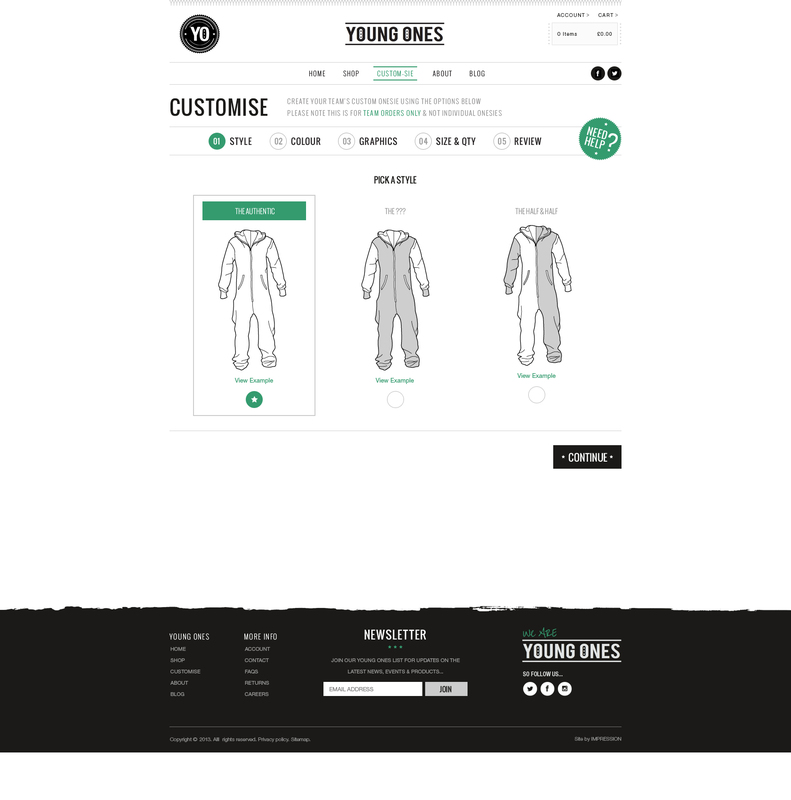 We built this extra feature through Magento, YoungOnes are able to manage this ongoing specifying which products they would like their visitors to personalise. Whilst building the site Chris and Tom have appeared on the BBCs Dragons Den and managed to secure funding with Duncan Ballentine, click here to view their video. 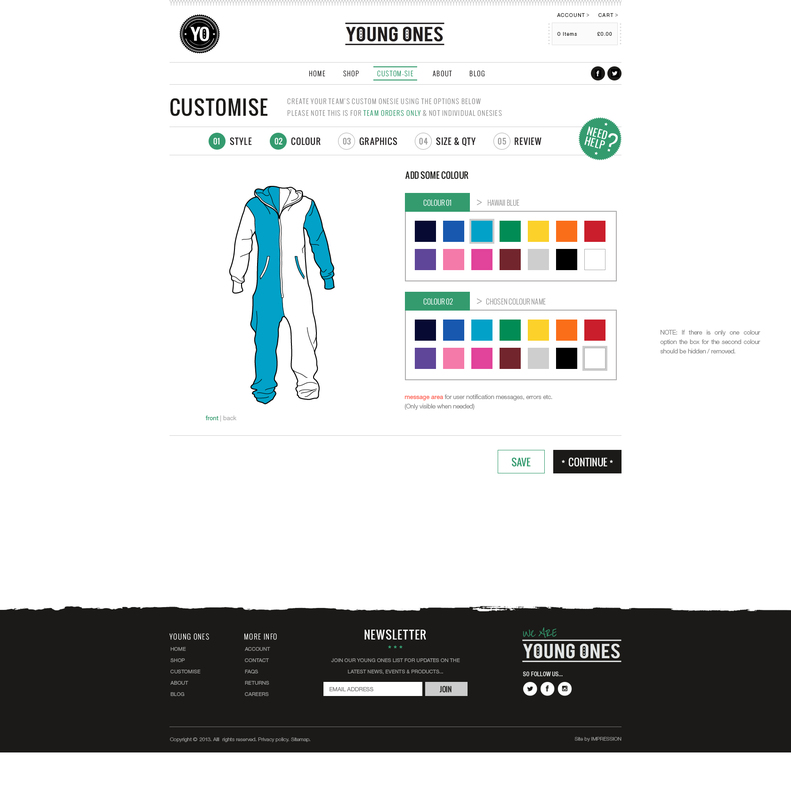 Stage Two: Customisation Tool We are now in stage two of the development with YoungOnes, we are currently building a ‘Customisation Tool’ into the site that will allow users to choose from a variety of Onesie styles and colours….Watch this space!